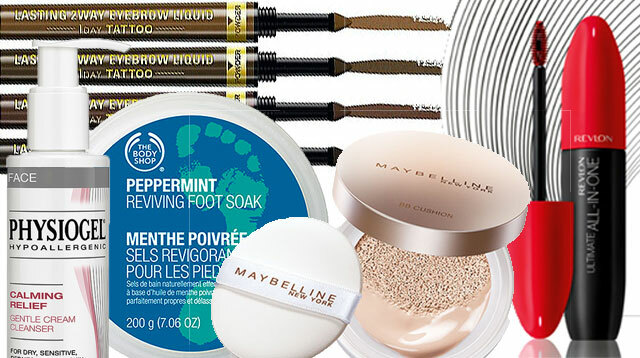 Have fun at an expo just for moms, hang out with other parents of twins, shop for home items and more! Book-loving kids ages 6 to 11 are in for a treat this weekend. The Ayala Museum is starting off their Bookmaking & Illustration Workshop for Kids where children get to try out how to illustrate and create their own minibooks. 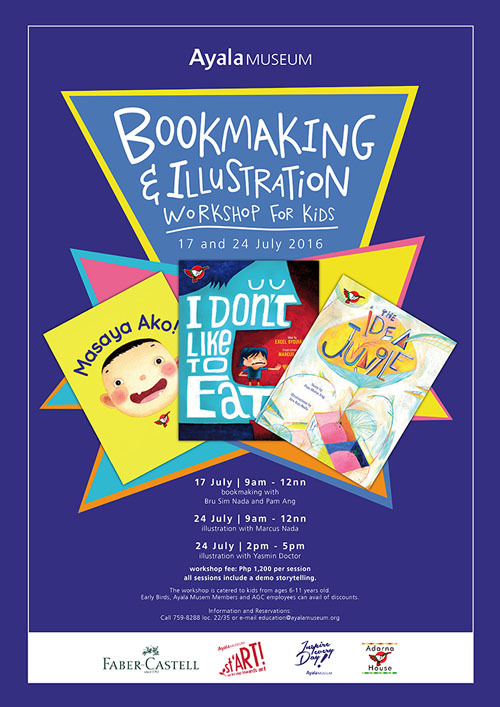 Plus, there will be storytelling sessions as well from book by Adarna House. The event is happening this Sunday, July 17, from 9 a.m. to 12 p.m. at the Ayala Museum, Makati City. Participation fee is P1,200. For inquiries and reservations, call 759-8288. 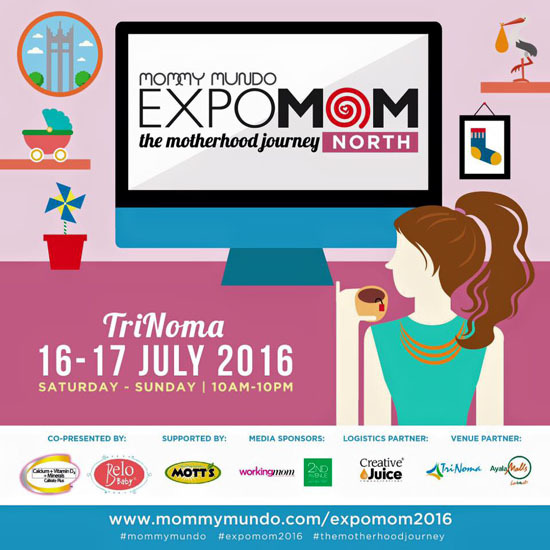 Mommy Mundo’s Expo Mom: North is happening this weekend! Expect there to be loads of merchants with goods and products especially for parents, kids and babies. There will also be talks on pregnancy, motherhood, bento making and more. 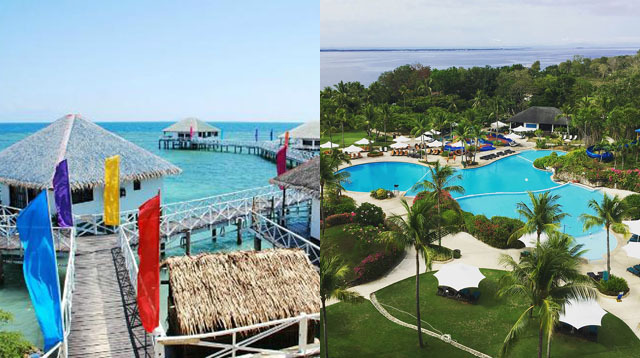 Some of the activities include games, a fashion show, zumba sessions, and a stage play. 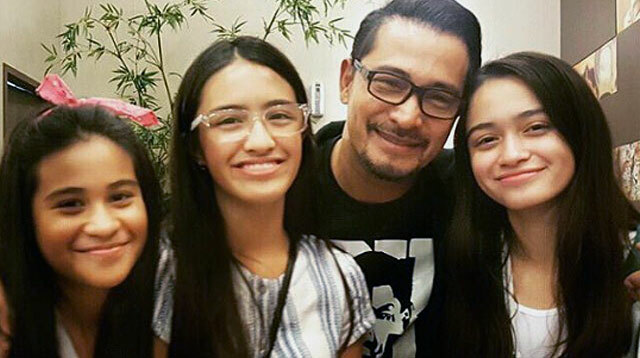 The event is happening Saturday and Sunday, July 16 to 17, from 10 a.m. to 10 p.m. at TriNoma Mall, Quezon City. 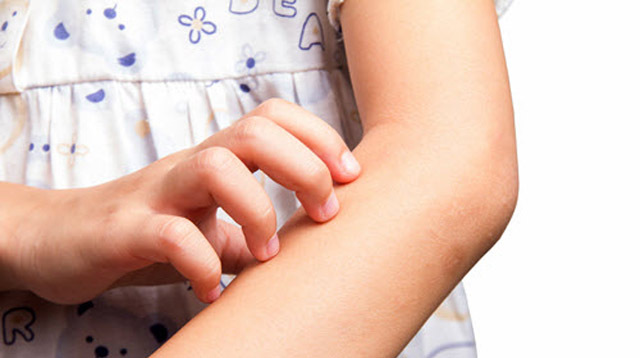 Are you a parent of doubles? Come to The Parenting Emporium's Seeing Doubles and exchange stories and life hacks at a laidback support group meeting. 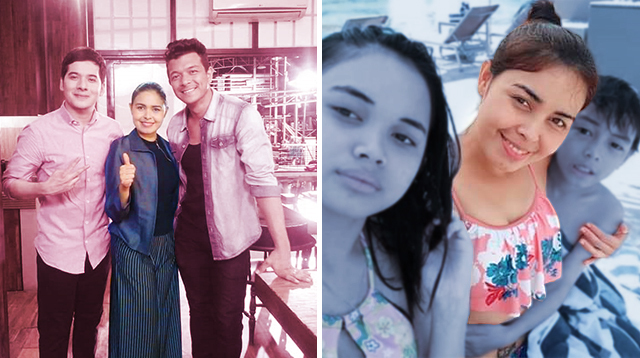 Guess what, there's a surprise treat for all attendees too. 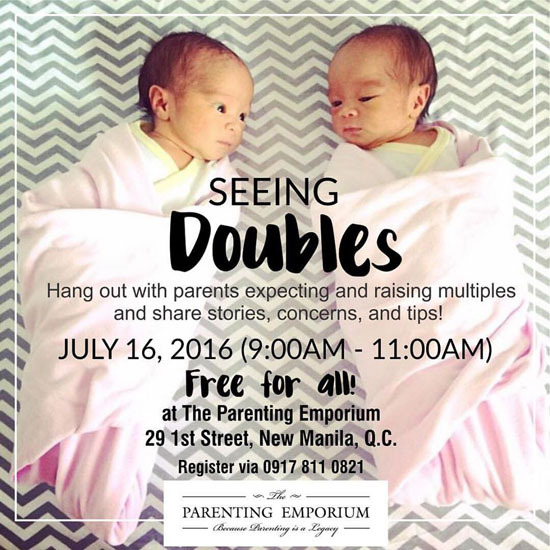 The event is happening this Saturday, July 16, from 9 a.m. to 11 a.m. at The Parenting Emporium, Quezon City. To register, call 0917-811-0821. 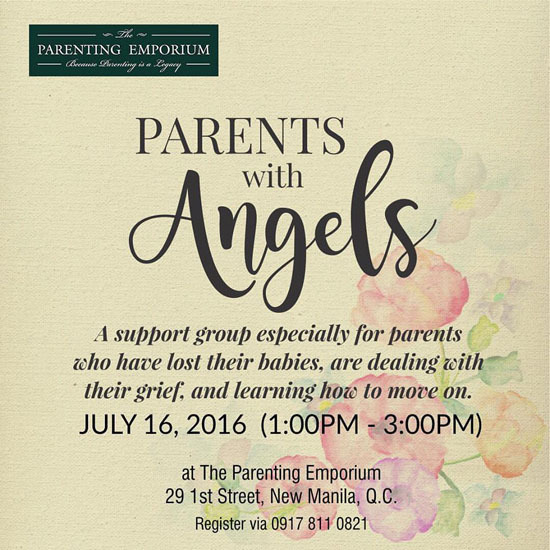 The Parenting Emporium’s Parents with Angels support group is meeting up this weekend. It’s especially for parents who have lost their babies, are dealing with their grief and learning to move on. 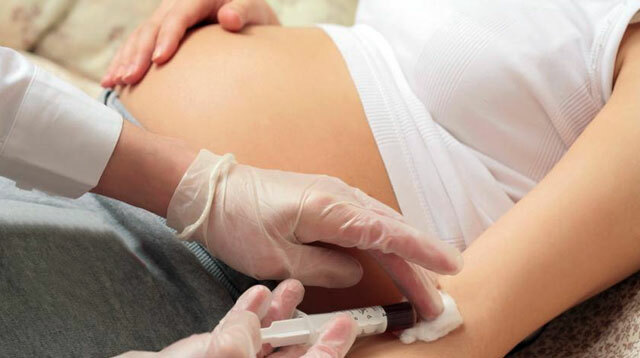 The event is happening this Saturday, July 16, from 1 p.m. to 3 p.m. at The Parenting Emporium, Quezon City. To register, call 0917-811-0821. 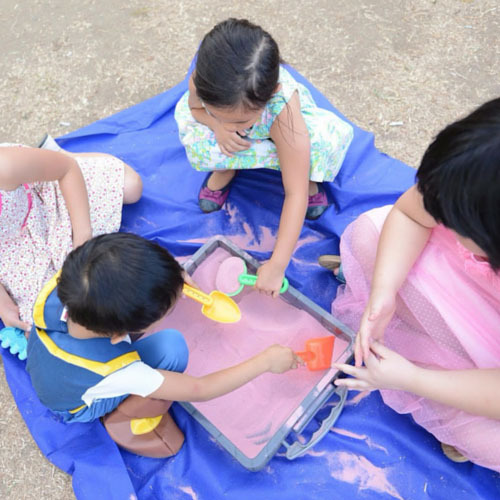 Learn about the importance of play in young children at Playful Learning: The Whys and Hows of Play workshop by The Learning Basket. There will be interactive learning sessions about the different kids of play, how to play with kids and setting up a play environment at home. Bring the kids because there will be activities and play areas set up for them so you can see what you'll be learning in action. The event is happening this Saturday, July 16, from 2 p.m. to 4 p.m. at the Playworks Childhood Center, Makati City. Participation fee is P600. Register here. Into baking? Learn the basics of cookie decorating at Manila Workshops’ Basic Cookie Decorating Workshop. 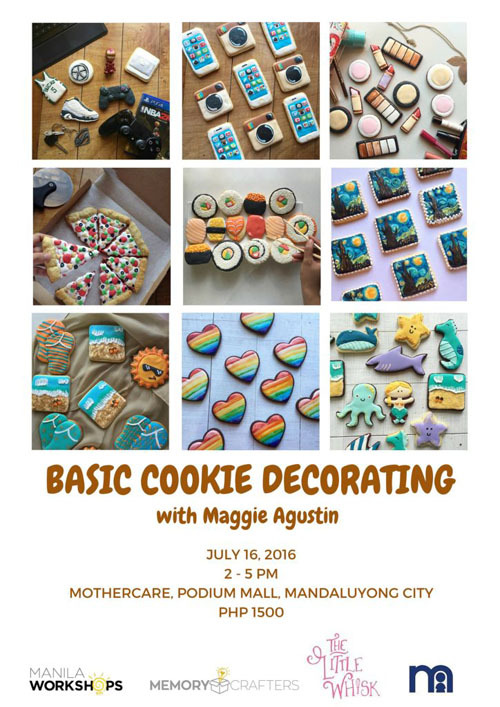 Maggie Agustin of The Little Whisk will share tips, tricks and techniques on how to intricately design cookies. The event is happening this Saturday, July 16, from 2 p.m. to 5 p.m. at Mothercare, The Podium, Pasig City. Participation fee is P1,500. Register here. 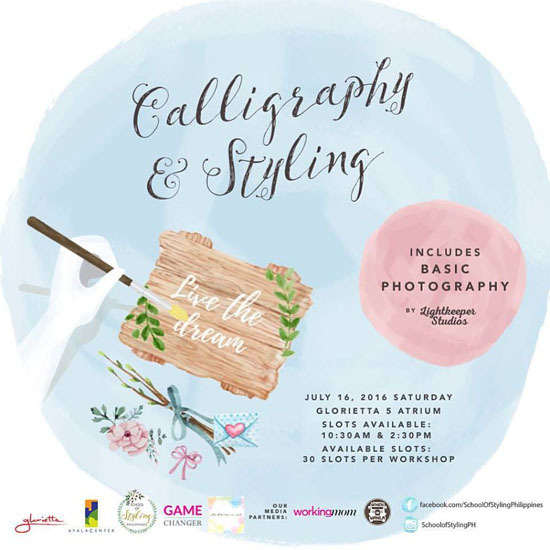 Try your hand at it at School of Styling Philippines’ Calligraphy & Styling workshop. Here you’ll learn freehand calligraphy and how to apply your new skill to make your events more personalized. The event is happening this Saturday, July 16, with one session at 10:30 a.m. and another at 2:30 p.m., at Glorietta 5 Atrium, Makati City. Participation fee is P3,500 inclusive of materials, a certificate of attendance, a goodie pack, photos and snacks. Register by messaging them on their Facebook page. 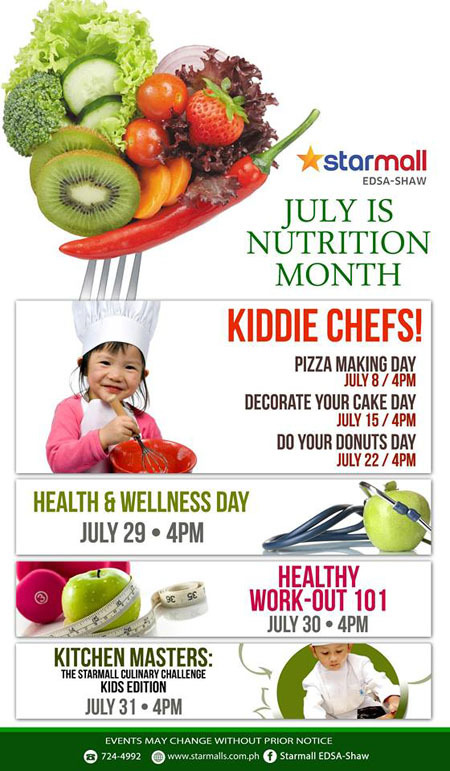 With July being Nutrition Month, Starmall is celebrating with loads of activities. This weekend it’s Decorate Your Cake Day for Kiddie Chefs. The event is happening on Friday, July 15, 4 p.m. at Starmall, Mandaluyong City. 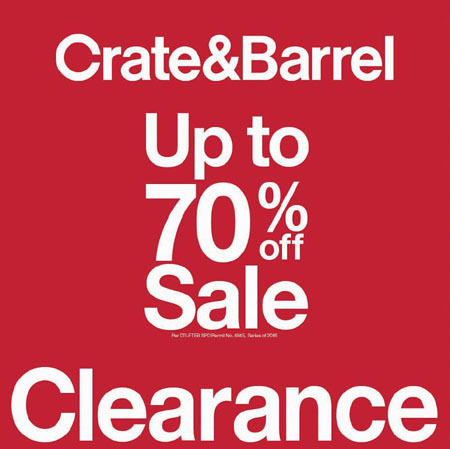 Get furniture and houseware up to 70% off at Crate&Barrel’s Clearance Sale. The sale runs from July 1 to 31 at their stores in SM Megamall, SM Aura Premier and SM Makati. 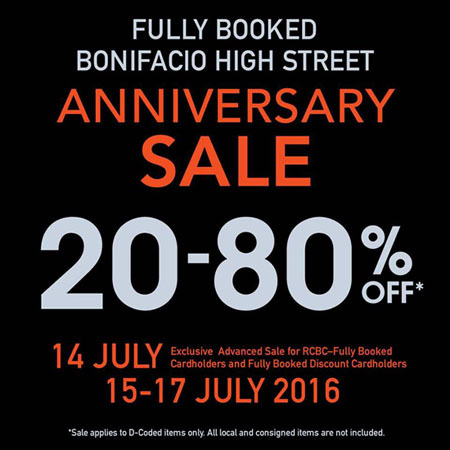 Fully Booked is celebrating another year of book love with a Bonifacio High Street Anniversary Sale. Only this weekend, July 15 to 17, will there be books up to 80% off at their Bonifacio Global city store.